In this retelling of The Little Mermaid, Princess Lira is the most feared siren in the kingdom under the sea. 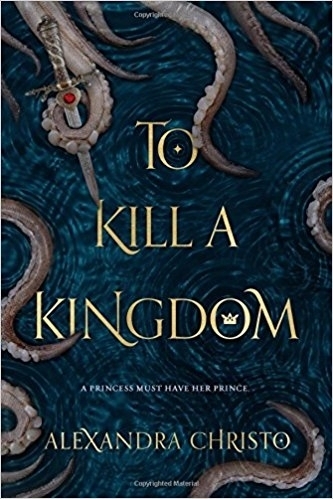 But when she kills a mermaid, her mother, the Sea Queen, turns Lira into a human. Now Lira must bring the Sea Queen the heart of Prince Elian, the captain of a ship of siren killers. When Lira joins Elian’s crew, she discovers that the prince has set out to discover an artifact that can kill all sirens. Lira stays with him to steal the artifact herself and overthrow her mother, but Lira and Elian grow close. When they find the artifact, Lira and Elian’s love and trust allow them to forge a new era of peace between humans and sirens. The growth that Lira goes through as a human and with Elian and his crew drives much of the story. The Sea Queen rules the kingdom under the sea with terror and views love as a weakness to root out. Living in terror under such a queen, the sirens must act as ruthless as their queen and only watch out for their own selves. But when Lira joins Elian and his human crew, she sees the love shared between the crewmates. Because of them, Lira grows and understands how relying on other people can be a strength and not a weakness. At the end, Lira and Elian face the Sea Queen, and only because of the love and trust they share can they overthrow the ruthless queen and put Lira on the throne. Only when Lira gives her heart to another can she find the strength she needs to usher in an era of peace between the two races. *Contains moderate language, moderate violence, and mild sexual content.